Today, many users of multimedia applications are surrounded by a changing set of multimedia-capable devices. However, users can move their running multimedia applications only to a pre-defined set of devices. Application mobility is the paradigm where users can move their running applications (or parts of) to heterogeneous devices in a seamless manner. In order to continue multimedia processing under the implied context changes in application mobility, applications need to adapt the presentation of multimedia content and their internal configuration. 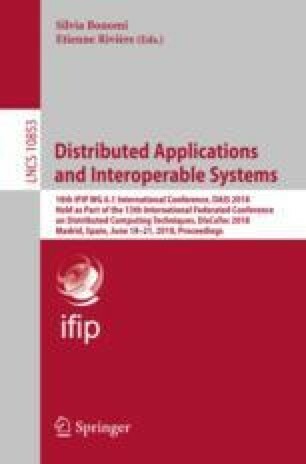 We propose the system DAMPAT that implements an adaptation control loop to adapt multimedia pipelines. Exponential combinatorial growth of possible pipeline configurations is controlled by architectural constraints specified as high-level goals by application developers. Our evaluation shows that the pipeline only needs to be interrupted a few tens of milliseconds to perform the reconfiguration. Thus, production or consumption of multimedia content can continue across heterogeneous devices and user context changes in a seamless manner.